This week our elementary school hosted special events every day to honor Read Across America. There was a Dr. Seuss themed family reading night, dress as your favorite book character, and other fun events for the elementary kids. As a history teacher, I got super excited when I spotted George Washington around campus, although a bit younger than I was expecting;). We don't do such things anymore in middle school, but we were asked to partner up with an elementary class for a time of reading together. My 8th grade homeroom class partnered with a 3rd grade class. It was so cute to see the nervousness in my students as we walked to our destination. I had fun just watching the interactions between my middle schoolers and elementary students as they read to one another. But as I walked around the room observing, I caught glimpses of the books the 3rd graders had chosen to read. Books like Miss Nelson is Missing and If You Give a Mouse a Cookie. Wonderful memories came flooding back of how much I love picture books! Sadly, teachers just don't read picture books in middle school. I can only imagine the looks I'd get if I whipped one out and started reading it! Anyway, for this Top 3, I decided to rack my memory for 3 of my favorite picture books. 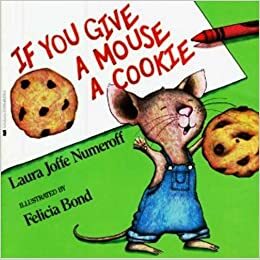 1) If You Give a Mouse a Cookie (and the others in the series). Sometimes I feel like the mouse, and my thoughts just jump from one thing to another to another, then eventually I'll end back up where I started. There's usually never a cookie waiting for me though. 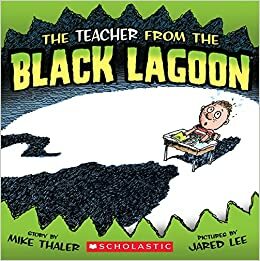 2) The Teacher from the Black Lagoon books. I'm not sure why I like these so much except they just make me laugh. These were a favorite when I taught Pre-K.
3) It's really hard to pick only 3! There were several I wanted to put here, but I've decided to go with Corduroy. Can't go wrong with this heartwarming one! I hope you enjoyed a trip down memory lane. I'd love to hear your top favorite picture books! Good choices, Julie! I have so many favorites, many from reading to my kiddos when they were young. I love Mo Willem's silly stories (Knuffle Bunny, and Don't Let The Pigeon Drive The Bus), the zany genius of Sandra Boynton (everything she writes! ), and the beautifully illustrated books of Chris Van Allsburg (The Mysteries of Harris Burdick would be great for story starters!) Thanks for sharing your picks! Fun post, Julie! 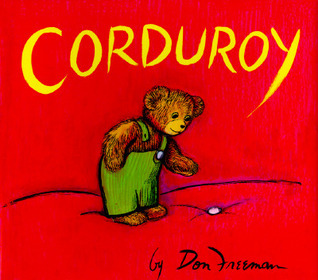 Corduroy and If You Give a Mouse a Cookie are two of my favorites, too, and it's been so fun to share them with my kids! Great post! I like picture books too, but I don't know which I'd choose, since I haven't read many in some time. I really like The Going to Bed Book by Sandra Boynton, The Little Blue Truck by Alice Schertle and any of the Duck books like Duck for President or Giggle, Giggle, Quack. These are all from Parker and Maddie, I honestly can’t remember picture books from when I was little except The Berenstain Bears books. By the time I was in 1st grade, I was reading chapter books like Matilda and Charlotte’s Web and my memory doesn’t remember much before then, unfortunately.